You are here: Home / Bankruptcy & Workouts / Can I Restructure My Debts in Order to Continue My Business Operations? If you have been struggling to meet your business debt obligations, you need to discuss a loan workout with your lenders. Perhaps you have already tried but were unsuccessful. You may have looked for other sources of financing but hit a dead end. You feel like you are just about out of time. It may be time to seriously consider taking your business into chapter 11 bankruptcy. In a chapter 11 bankruptcy, your business has an opportunity to reorganize all of its debts. Bankruptcy would give your business protection from creditors and the breathing room it needs to get its debts restructured. Meanwhile, your business can continue operating without the worry that the creditors will begin collection actions. The mere fact that a bankruptcy may be imminent can motivate your creditors to agree to a workout that they would have deemed unacceptable under other circumstances. The creditors know bankruptcy courts are accommodating to good-faith debtors. Outside of the bankruptcy court, creditors have more flexibility to make a deal with you, and it costs less to negotiate with you than it will under the supervision of the bankruptcy court. 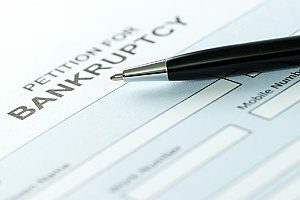 In some cases, one or more creditors will agree to a bankruptcy plan of reorganization before the debtor company files for relief (known as a “pre-packaged” bankruptcy). Consult with an attorney experienced in bankruptcy and workouts to help you before making a decision as important as filing for chapter 11 relief. Under chapter 11 of the United States Bankruptcy Code, business debtors can attempt to reorganize their debts and emerge from bankruptcy as a going concern. Known as the “business reorganization” bankruptcy, any individual, corporation, partnership, or LLC can file for chapter 11 relief and reorganize a business. 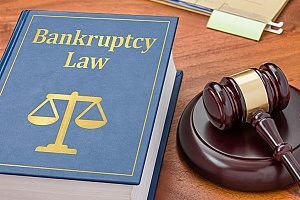 Once in bankruptcy, the debtor, its creditors, and other interested parties must adhere to the Bankruptcy Code and the Federal Rules of Bankruptcy Procedure. Any size business is eligible to file for chapter 11 protection. Special rules apply to small businesses in chapter 11 to streamline the case and lower the costs for them as compared to larger business entities. Chapter 11 reorganization is grounded on the notion that a viable business is better for creditors and for the economy than one that is liquidated in a chapter 7 bankruptcy. When a debtor files a petition for chapter 11 bankruptcy relief, the debtor will have to provide extensive financial information to the court. The case and the debtor’s information will be available to all of its creditors, shareholders, and the public. Filing false information is a federal crime punishable by fines and imprisonment. Immediately upon filing the petition along with the required financial information, the “automatic stay” becomes effective. It is one of the most important protections for debtors in bankruptcy. The automatic stay prohibits creditors from taking any action to collect debts without the permission of the bankruptcy court. This prohibition precludes taking or continuing any legal proceeding that may be pending, any repossession or foreclosure activity, freezing of a debtor’s bank accounts, or shutting off utilities to the debtor’s business. 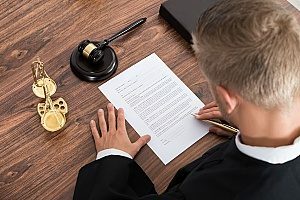 Also upon filing the chapter 11 bankruptcy petition, the debtor becomes the “debtor in possession” (DIP) and continues to operate the business during the bankruptcy proceeding. No trustee is appointed unless there is evidence of fraud or serious mismanagement by the DIP. The DIP has four to six months to file a plan of reorganization. The plan must outline how the debtor will generate cash to operate and pay creditors. The plan can modify loan payments, terminate leases and burdensome contracts, sell all or part of the business or business assets, issue new stock for new capital, and propose other activities that will help the debtor emerge as a viable business. Plan confirmation requires the DIP to provide extensive financial disclosure to support the plan’s viability. If the plan is not viable or the DIP cannot meet the criteria for plan confirmation, the court will not confirm the plan. In that case, the creditors can propose their own plan for the DIP. The creditors may instead ask the court to dismiss the case or to appoint a trustee and convert it to a chapter 7 liquidation proceeding. When a DIP is able to obtain new financing and the DIP’s plan meets the criteria set forth in the Bankruptcy Code for confirmation, the court will approve the plan even if creditors object to it. Once the court confirms a plan, the DIP’s obligation to pay any debt not paid under the plan is discharged. However, the DIP must perform its plan obligations. If the DIP fails to comply with the terms of the plan, the court can order compliance, convert the case to a liquidation and appoint a trustee, or dismiss the bankruptcy case. Filing for bankruptcy protection is not an action anyone should do without consulting a bankruptcy attorney and workout expert. Their help can give you confidence that you are making an informed decision, with actions strategically timed. Depending on your situation, a chapter 11 filing may not be necessary On the other hand, a chapter 11 reorganization may be your best option. If you delay the filing too long, you run the risk of dissipation of the business assets. Without adequate resources, your business may have little chance to successfully reorganize. You need to get in touch soon with an experienced bankruptcy & workouts attorney to develop a workout strategy and ensure a successful resolution to your financial issues.